I've always been a fan of colourful statement jewelry. The more the better with me and all these pictures show exactly what I mean. 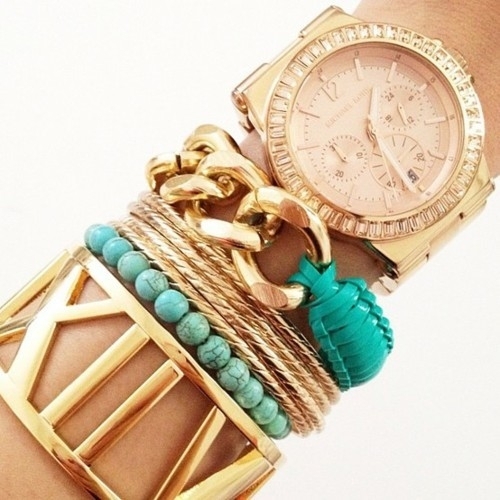 I think it looks great when you have a great gold watch and then layer it on after that. 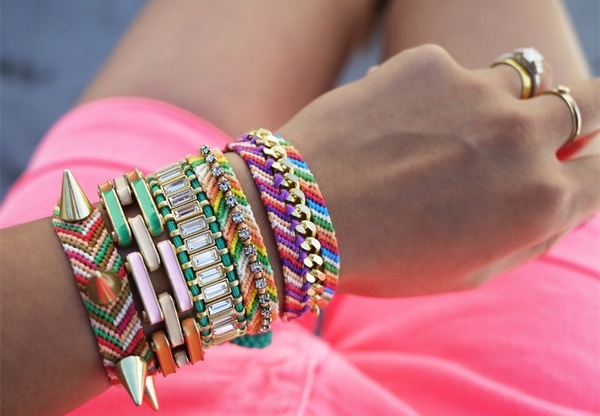 Stores like Forever 21 and vintage shops are an inexpensive way to layer on the arm parties! 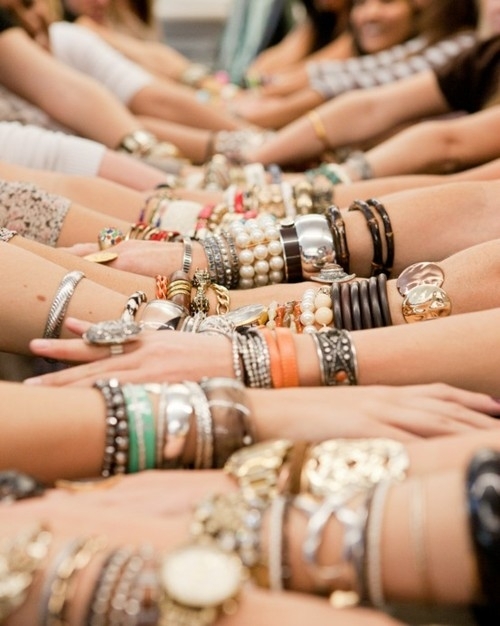 What do you think of the arm party trend? Do you think its here to stay? Speaking of bracelets I just got this one from Etsy.. so excited! I like this trend and wish I had more bracelets to really wear it. 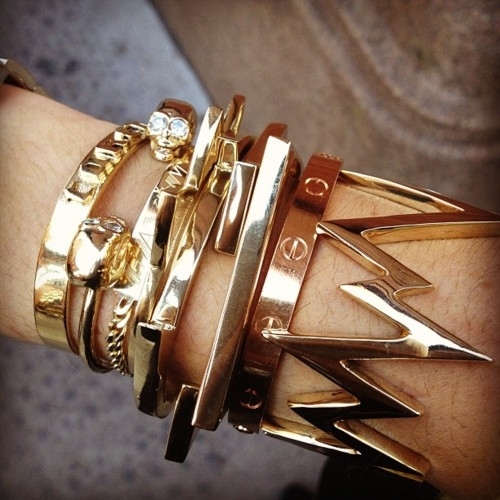 I love all sorts of bracelets, thread, gold and silver and think that we shouldn't be afraid to mix and match. So inspiring! I really love the last photo..
Fun inspo! 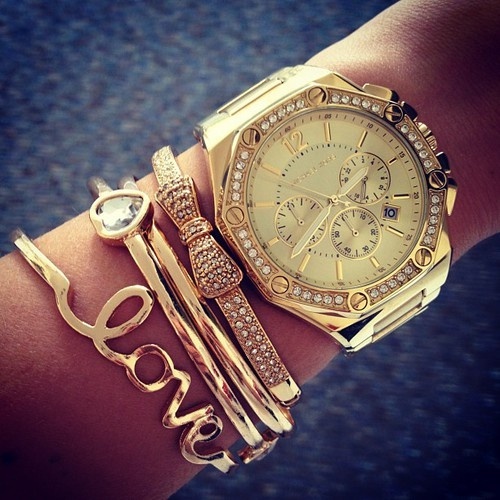 I love a good arm party! These arm candy shots are a real treat!! I am a new follower! Would you like to follow me back?